(by Carl Campanile, NY Post) – In a slap at both Gov. 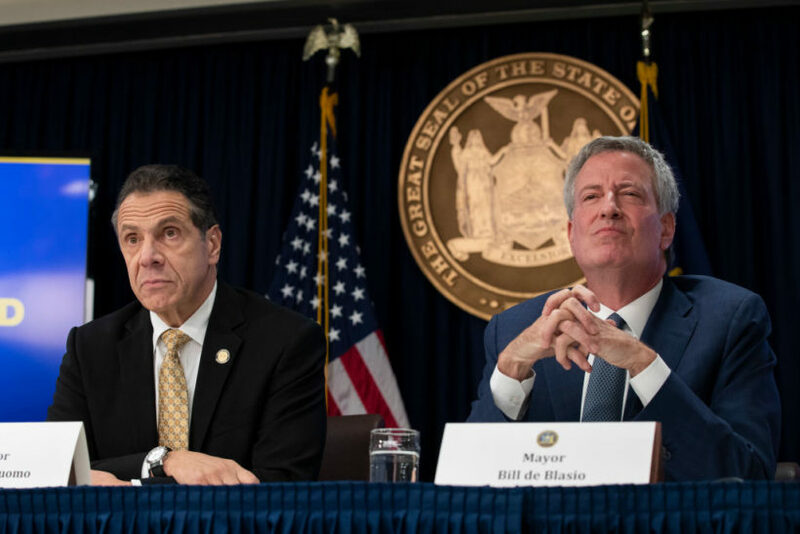 Andrew Cuomo and Mayor Bill de Blasio, the organization that represents New York’s public health agencies is opposing their effort to legalize the recreational use of marijuana. The New York State Association of County Health Officials is warning that weed may not be as safe as people think. “The experience of other states, where traffic deaths and emergency room visits have increased significantly, shows that legalizing recreational marijuana could likely adversely impact the health of a great many New Yorkers,” wrote Sarah Ravenhall, the organization’s director, on Syracuse .com. Ravenhall said she’s worried about the health impacts on newborns, infants and youths. “THC, the chief intoxicant in marijuana, remains in the breast milk of mothers for up to six days after marijuana use. How will we protect infants and children from unintentional exposure to the drug?” she asked. Ravenhall also said pot is a gateway drug — a term [NY Governor] Cuomo himself once used when he opposed legalization before coming around to support it. [New York City Mayor] De Blasio also recently evolved from skeptic to supporter of legalizing pot. “Research has substantiated that marijuana use significantly increases the likelihood of addiction to other drugs,” Ravenhall said. She also suggested it’s hypocritical to crack down on tobacco smoking but then say it’s OK to inhale potent grass. “New York has proven itself as one of the most aggressive anti-smoking states in the nation, establishing the Clean Indoor Air Act and spending tens of millions of dollars in tobacco settlement revenue to curtail smoking. How is legalizing the smoking of marijuana (the most widely used means of ingestion) consistent with both the spirit and technical implementation that act?” Ravenhall asked. Cuomo has said he would introduce a proposed law to legalize recreational pot in the current legislative session. The association represents all of New York state’s local health departments. 1. What is the New York State Association of County Health Officials? 2. Why does the NY Association of County Health Officials oppose New York Governor Andrew Cuomo and NYC Mayor Bill de Blasio’s push to legalize recreational marijuana in NY? 3. What concern did the Association’s director Sarah Ravenhall express for babies and children if recreational marijuana is legalized? 4. a) What has research shown about the negative effects of marijuana use? Why are county health officials concerned about this? b) What is hypocritical about the government’s push for legalization, according to Ms. Ravenhall? 5. a) How do governor appointed New York State Health Department officials differ from the County Health Officials in their assessment of the dangers posed by the legalization of recreational marijuana? b) Who do you think is right? Explain your answer. 6. Before pushing for the legalization of recreational marijuana, Governor Cuomo opposed it, saying it is a “gateway drug.” Why do you think he changed his mind? b) State governments make large sums of money by legalizing and then taxing marijuana sales. The drug is still illegal under federal law. States ban the sale of cigarettes to people under 18 (and in some cities under 21) as well as banning the sale of alcohol to those under 21. Do you think state leaders have a responsibility to address the dangers (unintended consequences) posed by legalizing recreational marijuana? Explain your answer.